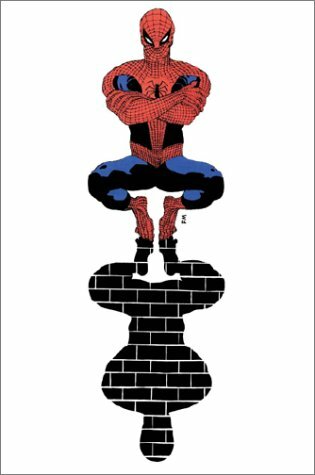 The Complete Frank Miller Spider-Man, Frank Miller, et al., Marvel Comics Group, 2002 (c1994), ISBN 978-785108993, 208pp. Until recently, most of the hardcover reprint collections from both Marvel (the Marvel Masterworks series) and DC (the Archives) series have focused on either the “Golden Age” or the beginning of the “Silver Age” of comics publishing. 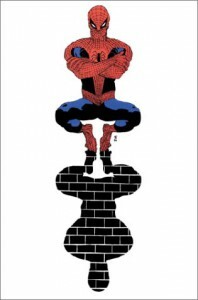 The success of both the recent X-Men and Spider-Man movies, and the increasing market for graphic novels in traditional bookstores (rather than just the direct-to-market specialty stores) has both of the large publishers looking to see what they can repackage and gain some “found” money (i.e., don’t have to pay for production, just publish and rake in the dough). I’d decry such simple-minded money-grubbing except that along the way the art department of both companies must have gotten involved, because some of the most recent repacks have been providing comics scholars like myself some much-needed works that were previously only available to a few people (e.g., the Spirit archives) or forgotten by many, such as this collection of Frank Miller’s earliest comics work. Sure, Marvel is pushing this not only on Miller’s name (and the furor over his Dark Knight Returns 2) but also because it’s Spider-Man, for gosh sakes. But if you want to see where Miller’s style (both writing and artistic) evolved from, this is the book. I remember owning a couple of these comics in their original form, but never connected them with Miller, whom I later admired for Ronin and his work on Daredevil and Batman. If anything, the stories here are the weak points, because they typically come from stand-alone “annuals” or team-up books, where Marvel often had a revolving door policy for writers and artists. The two best comics here are those that reveal Miller’s work with cross-hatching (Spider-Man Annual #14) and the unique panel arrangements and interest in Eastern themes (Marvel Team-Up#100). I’m not sure this is worth $30, for the originals don’t have the complex color separations that benefit from this nice paper. But as an archive resource, and for Miller fans, it’s easier than hunting down the originals in dusty bins.